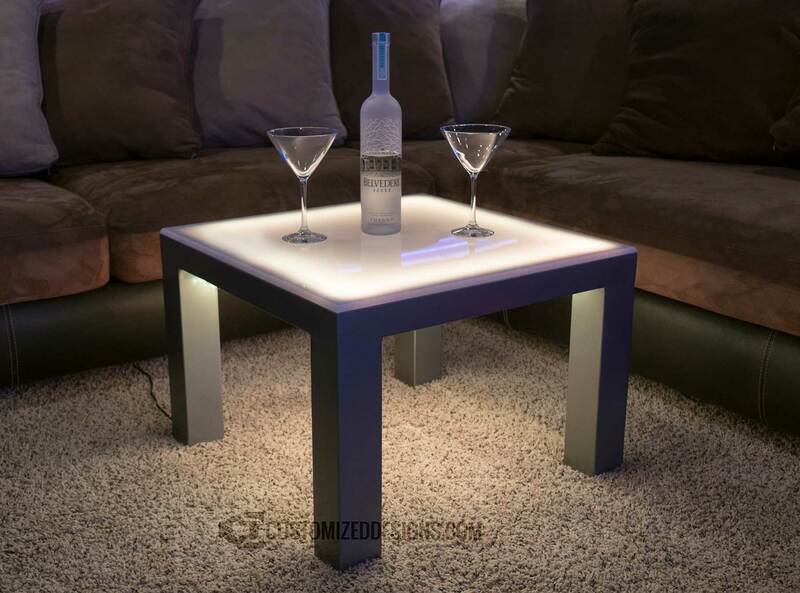 The Carbon Series is a mixture of modern and unique led lighted table designs. All of the furniture in this series utilizes a durable steel frame powder coated with a color of your choice. Every table is available in various heights to perfectly fit your application. Can Carbon tables be used outside? • Yes! 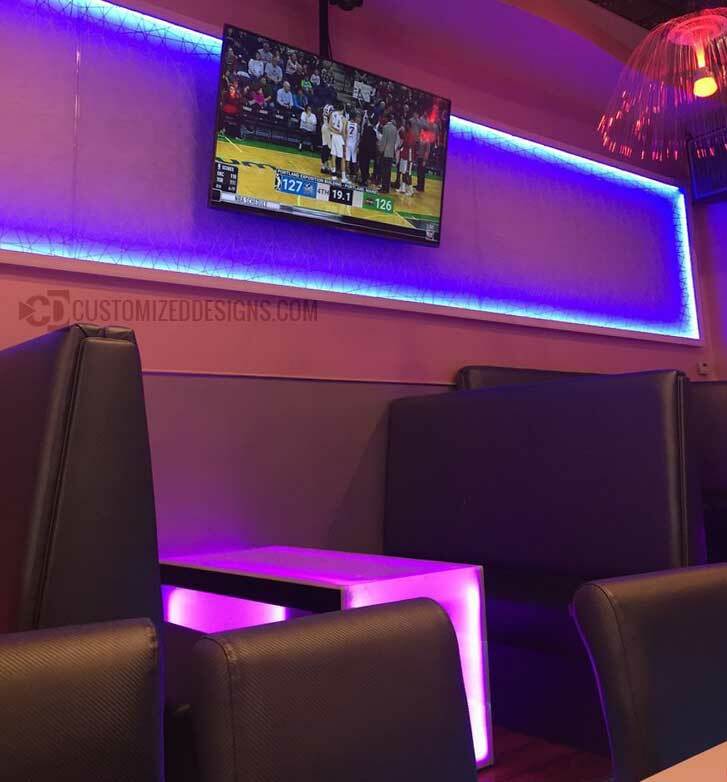 The metal frames are powder coated which is very durable and the acrylic tops will not be damaged by continuous outdoor use. • Keep in mind that the power supplies included with our products are not outdoor rated so they will either need to be protected from the elements or you will need to get outdoor rated 12v power supplies. 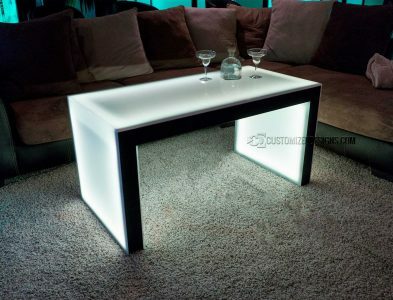 • Because of the these table's open design, there is no place to hide the power supply like with our other led furniture. This means the cord and power supply will need to be run across the floor and hidden somewhere. Where does the cord come out? • The power cord comes out the bottom of one of the table legs unless another location is specified at the time of ordering. 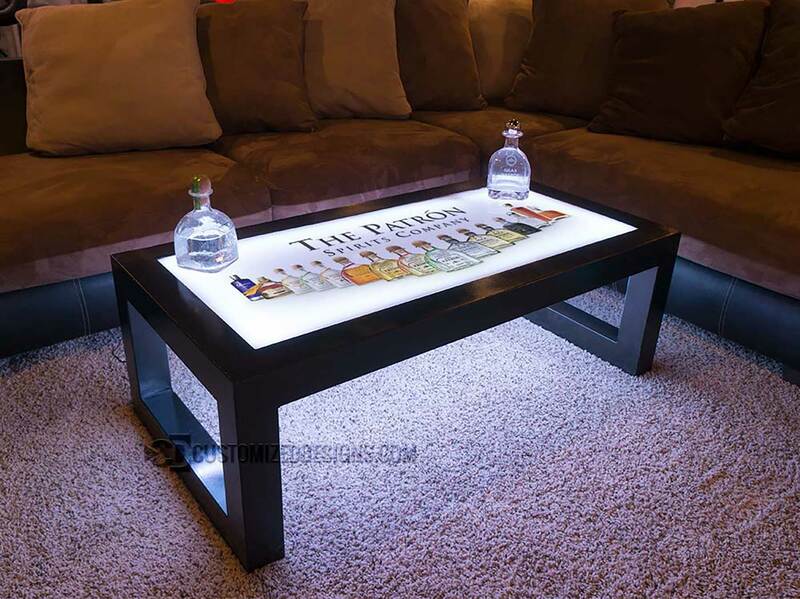 • Cord placement will vary by table. 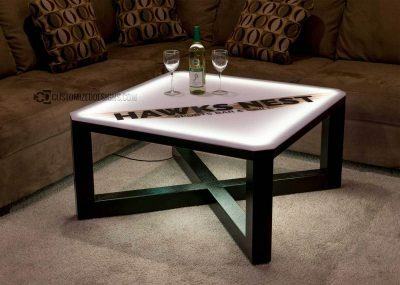 Can these tables run on a battery? • Yes. However, we build in a special compartment underneath the table to house the battery so we need to know if you're running them on a battery when you place your order. 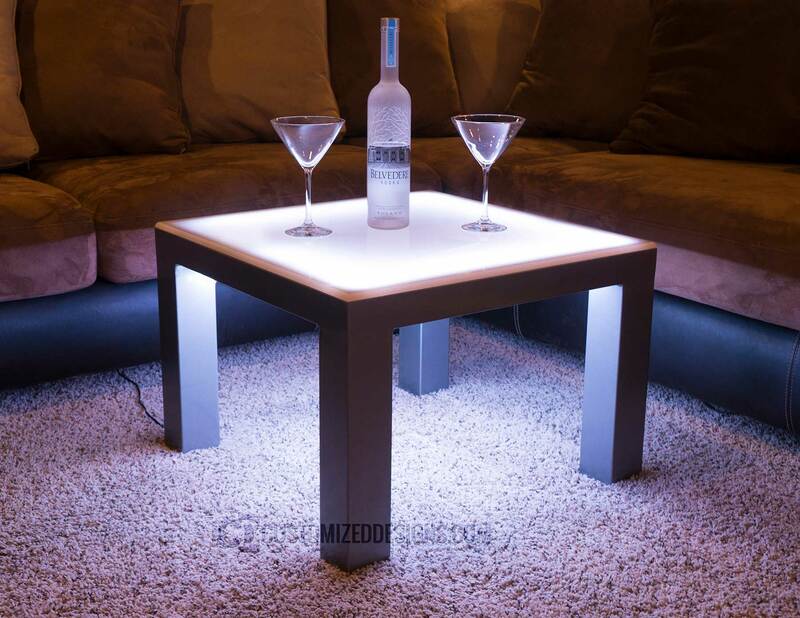 • Battery operated versions will also not have a power cord coming out of the table leg. If you plan on alternating corded and battery operation, please tell us so we can make both options possible. • Another option is to run the battery remotely. 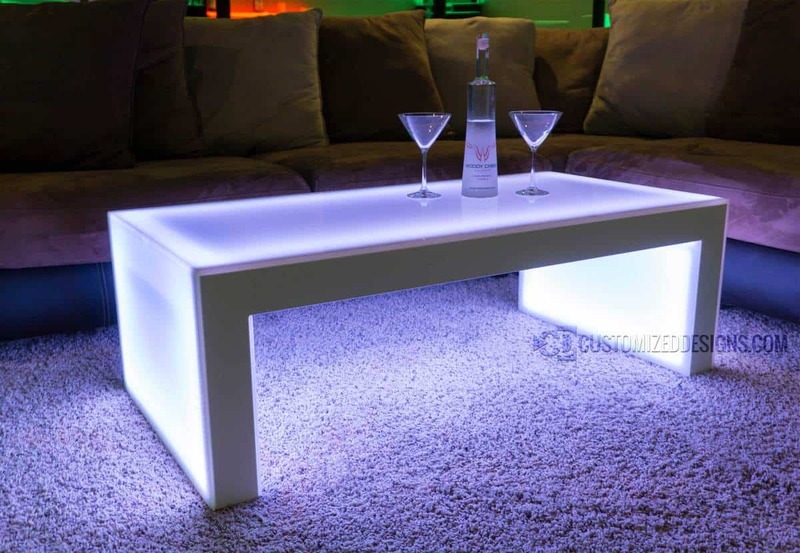 If you have other furniture nearby, you can put the battery underneath or behind couches. You'll need additional cables to increase the length of the cord for this. Contact us for details. 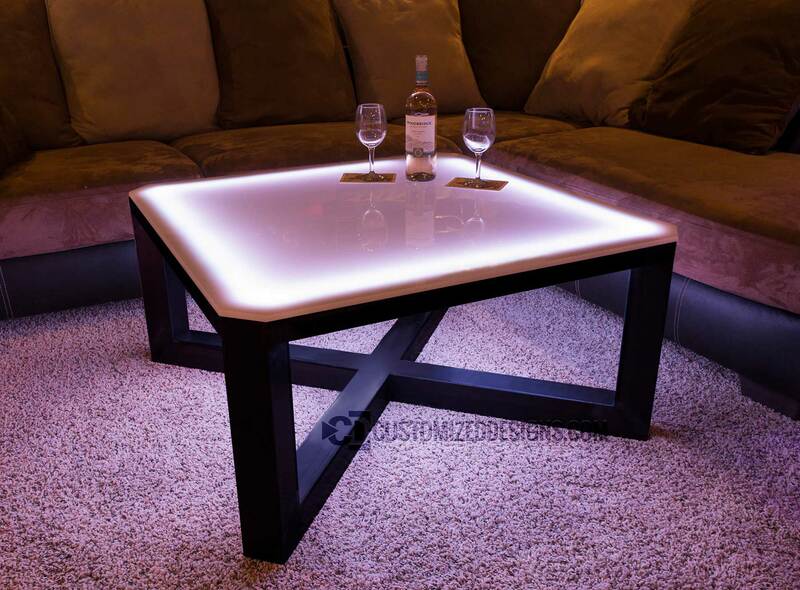 • Battery life will vary greatly depending on the style of the table as well as the size/height. • See the Battery & Charger page for additional details on battery operation. If you still have questions about the Aurora LED Tables, please don't hesitate to contact us!